Sleek style at an affordable price! 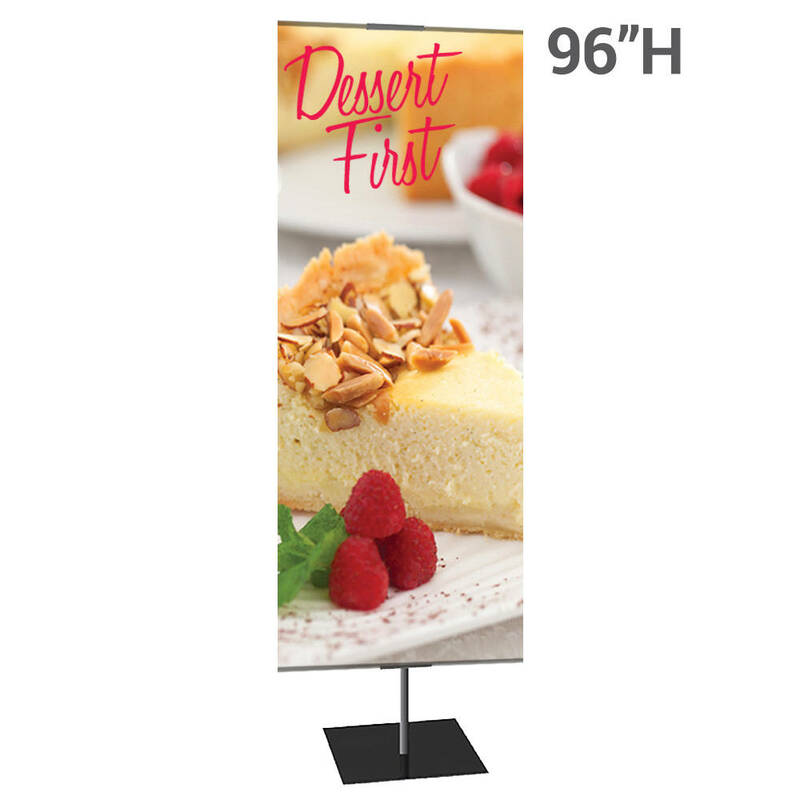 Vertical Banner Stand packs great value into a beautiful, easy to set up indoor banner stand. The classic Vertical Banner Stand features easy-to-use aluminum clutch locks, a heavy duty base, and sleek styling. Ideal for indoor banner displays for your business, event, school, or organization. 24" width and height adjusts from 24" to 96". Available in Black. Choose either: "SS" (Single Sided) "DS" (Double Sided) print option.